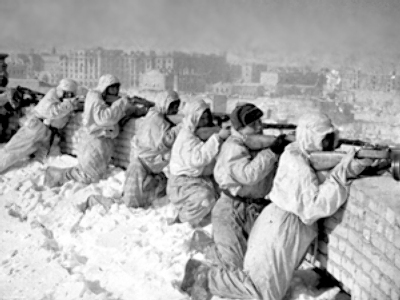 Russia is getting ready to commemorate the end of World War II and the defeat of Nazi Germany. This year’s first large-scale practice drill of the annual Victory Day military parade has been held in the center of Russia’s capital. ­This year marks the 66th anniversary of Victory Day, and on May 9, Moscow’s Red Square will once again be the center of the celebrations. 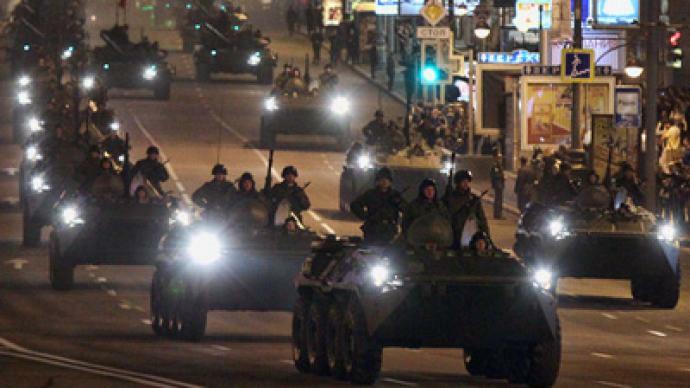 On Monday evening about 20,000 soldiers and officers marched through Moscow, taking part in the first rehearsal of a massive military parade which is scheduled for May 9. Traffic in the city center was partially blocked in order to make way for tanks and heavy artillery taking part in the historic event. This year fewer machines are involved, according to organizers. In addition, roughly 1,500 musicians and more than 100 pieces of military hardware are expected to take part in the annual parade, which will be commanded by Defense Minister Anatoly Serdyukov. Two more reversals are scheduled to be held on Red Square before Victory Day, on May 3 and May 7.